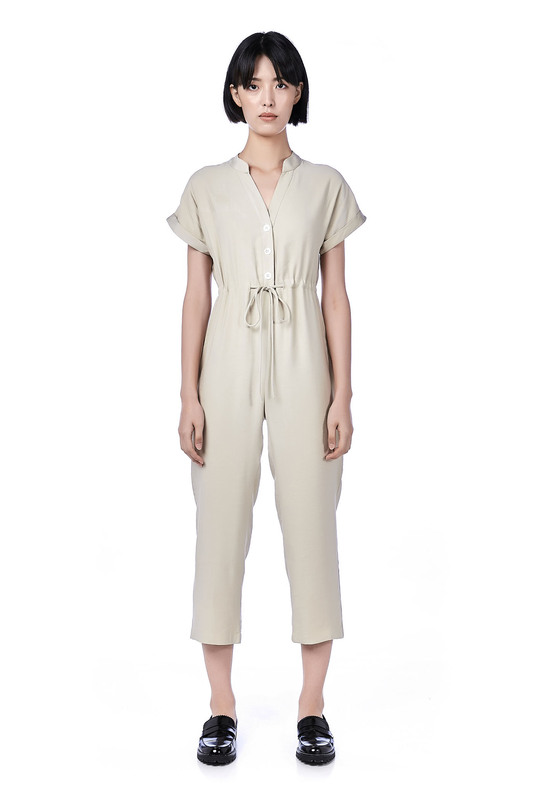 This short-sleeved jumpsuit is made from cotton. It has a v-necked stand collar featuring a drawstring at waist, made in an oversized fit. Button fastening on the front. RISE 14" 14.5" 14.5" 14.5"
LENGTH 49.5" 50" 51" 51"